Train with a ninja master during in a private setting. Enjoy a complimentary interpreter and learn the secrets of ninjitsu from a trainer with 20-plus years of experience. 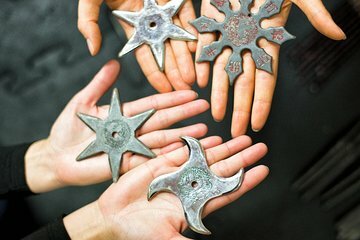 Discover the history of—and techniques for using—iconic ninja weapons like the shuriken, or throwing star, and fukiya, or blowgun. Then practice using them yourself.